Cover Art by Evgeniy Koltsov, Website “Moscow,” http://fotomoskva.net.ru . Reproduced with Permission. Cover Design by Rosana Sánchez. Послушайте! is intended for intermediate-level students who want to improve their listening and speaking communication skills. Focusing on language in the context of everyday communicative acts (e.g. making requests, seeking and giving advice, apologizing etc. ), the book provides students with multiple opportunities to practice listening and speaking in a variety of real-life situations. 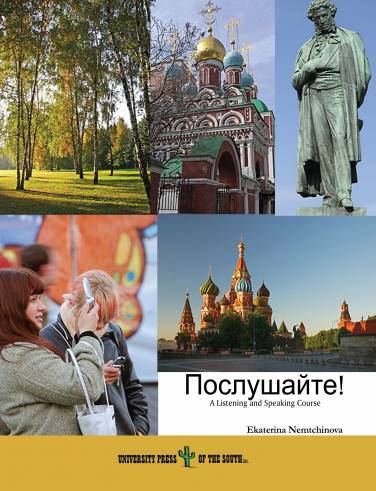 A host of individual, pair, and group activities in each chapter develop effective listening strategies, promote meaningful practice of language and communicative skills, and boost students’ confidence in dealing with real Russian. 'I've worked very closely with the author of this textbook for several years now. She is a wonderful instructor, and this book is no different! It has CD listening tracks, quick review charts in the back, and lots of activities. of strategies and don't get sick of doing the same thing. situations one could easily imagine him or herself in and that actually keep one interested--(I can say from personal experience!). EKATERINA NEMTCHINOVA is a Professor of TESOL and Russian at Seattle Pacific University, where she teaches courses in linguistics, methodology of foreign language teaching, and Russian language, literature and culture. 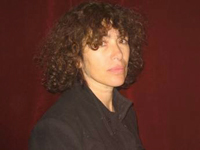 She currently is the Co-Chair of the Department of Languages, Cultures, and Linguistics. EKATERINA NEMTCHINOVA is the author of numerous publications on teacher education, the issues of nonnative English speaking professionals in TESOL, and technology in language learning.